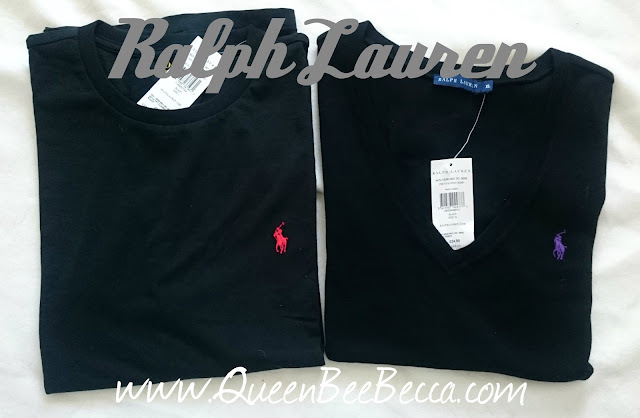 I love Ralph Lauren! 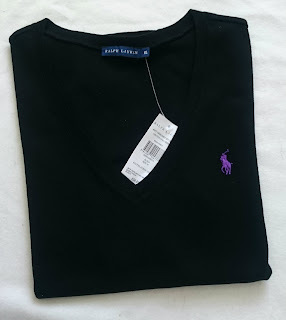 I love anything with a label really but Ralph will always be up there on my faves list. I always have to pop into a store when I'm outlet shopping, so last Sunday was no different but this time I found a top that I am head over heels in love with! I always find being a size 16/18 means that I do struggle with designer clothes. Even XL's appear to be a size 14 so I was over the moon when I managed to get my hands on this gorgeous V neck! I even found a lovely t-shirt for the hubby to keep him happy too! As always, I try to buy my designer purchases in classic colours, that way they'll go with anything and last a few seasons. 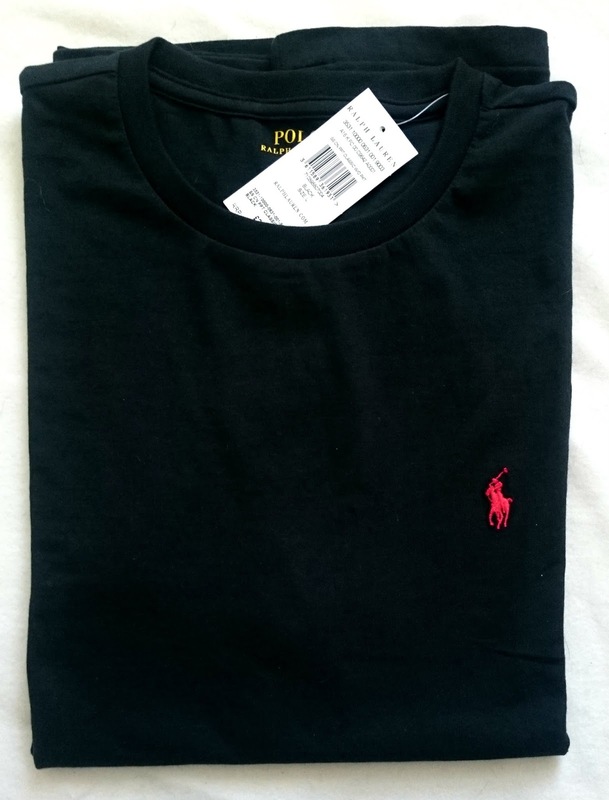 I got my hubby a gorgeous black t-shirt with a vivid red Ralph Lauren logo on the chest. He's not as label orientated as me but he loves a bit of Ralph and I thought this would make a perfect addition to his polo shirts! The beauty I had to have was a gorgeous black V neck with a lovely purple logo. It does have a very low V neck, so I'm not sure it's one I'll be wearing to work without a top underneath but it's a lovely quality and I do love a good V neck! 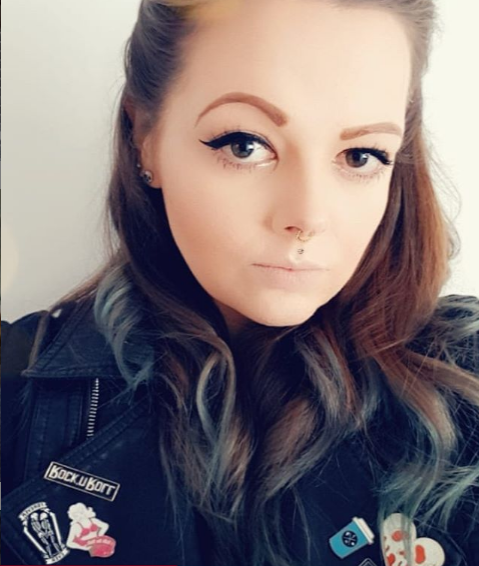 Going back to sizes, I am a size 16/18 so I did purchase a XL. I did find different styles came up differently. 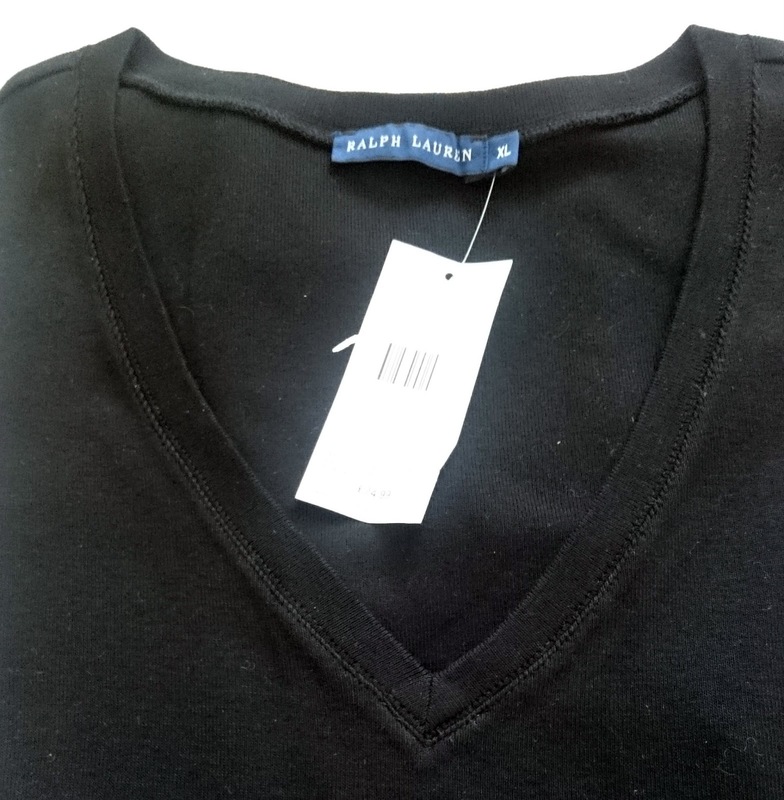 A round neck for example was a bit of a tighter fit where as the V neck was perfect for me. I may on my next visit, get this in a few more colour variations. I always tend to lean towards black but I think a white one would be a great addition! Usually these tops are £45 but as it was an outlet store and there was additional sales, I picked this up for a mere £19.99. How could I say no?! Do you have any favourite Ralph Lauren pieces? I do love a bargain from an outlet store, and a black v next is a wardrobe staple.